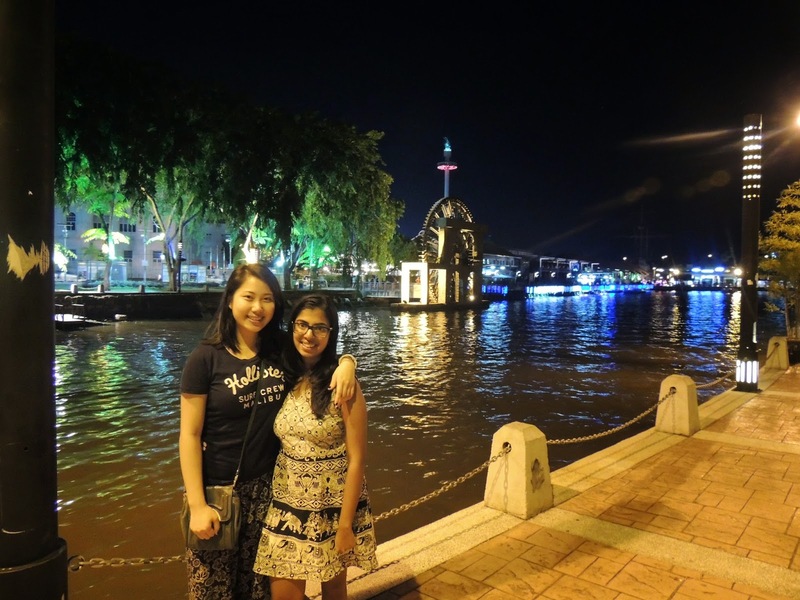 My friend Liz and I decided to take a weekend trip to Melaka before our classes began at college. 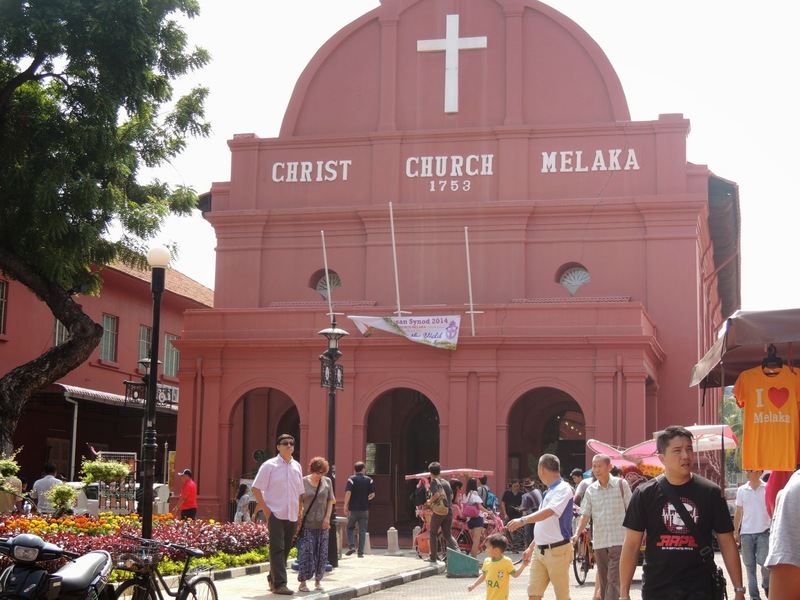 Melaka is a small city in Malaysia. It’s 4 hours away from Singapore by bus and attracts lots of tourists. We put ourselves on a $50 budget and decided to be ultra frugal. We stayed with Liz’s friends’ family who took us around. One of our hosts used to be a history teacher before retirement and she would give us history lessons on Melaka while driving us around! Our hostess who used to be a history teacher before she retired. She had a lot of things to tell us and made sure we had a wonderful cultural experience! We arrived on Saturday at around 2 pm. After meeting our hosts and putting our bags down at their house, we went out for a late lunch. 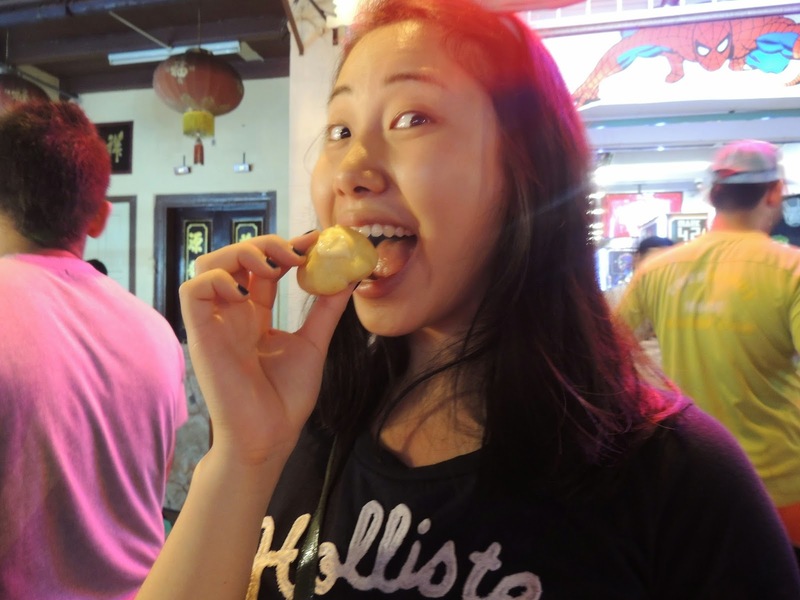 We learnt that coconuts and durian are two of Malaysia’s specialties. 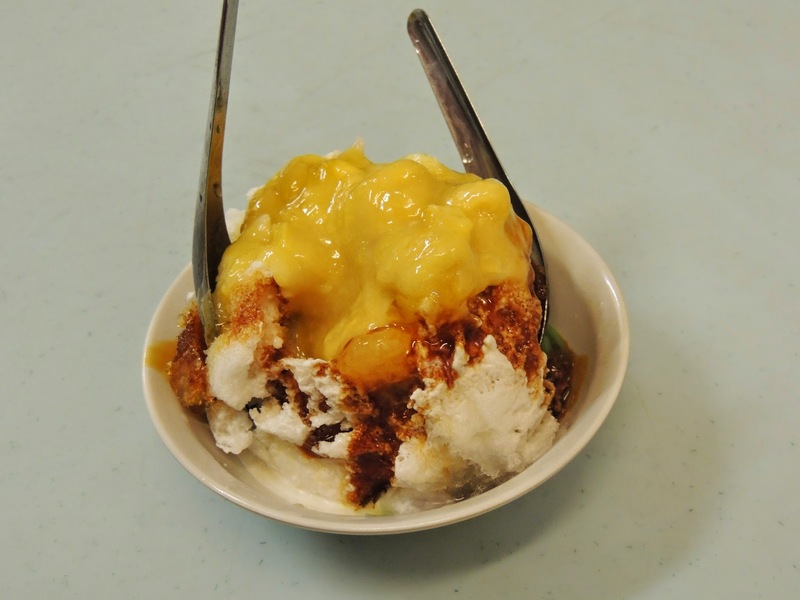 In fact, much of the durian in Singapore is imported from After driving around a bit, we went back home, deciding to delay sight seeing to the evening when the heat had subsided. At home we ended up taking a long afternoon nap and by the time we woke up it was 7 pm already. By this point we were ready to go sight seeing. We first went for dinner where Liz and I shared a Wanton Mee, supposedly one of Malaysia’s speciality. 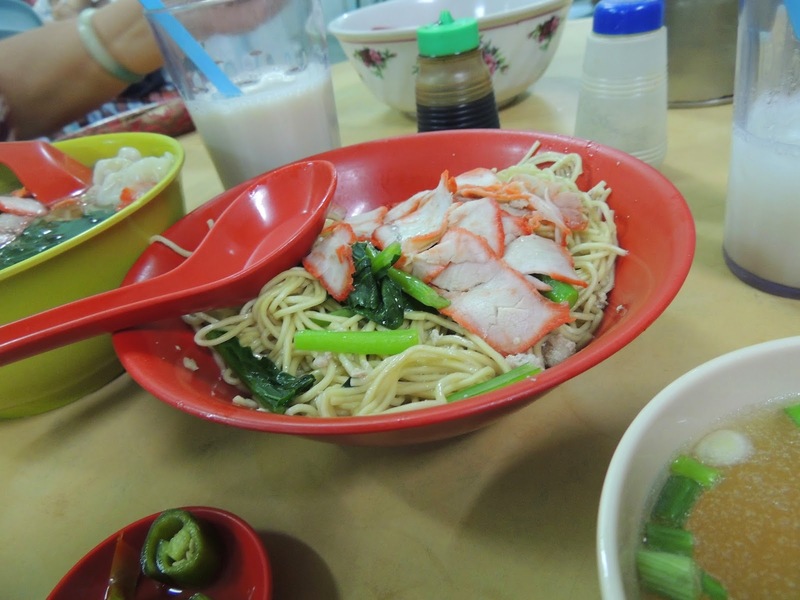 Wanton Mee is noodles with Chinese dumplings. This is one was moderately spicy. 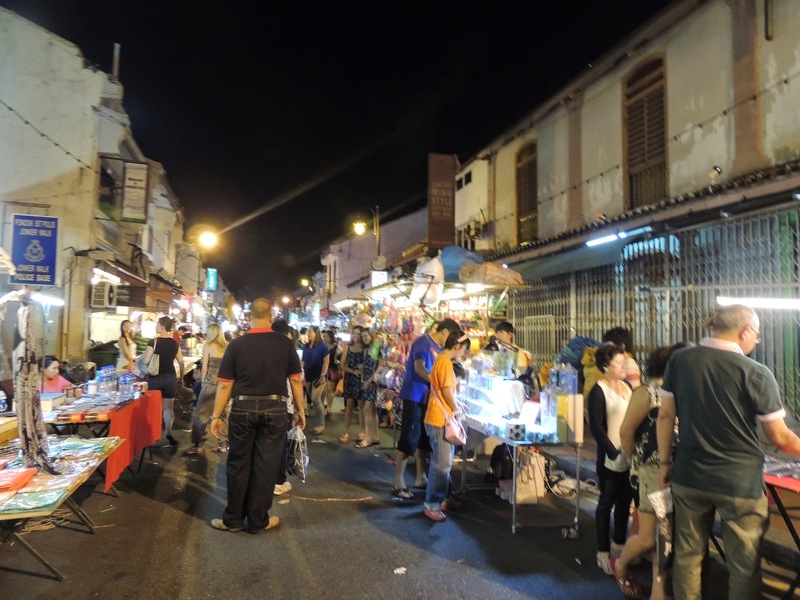 We then went to Jonker Street, which is a street known for its night market. 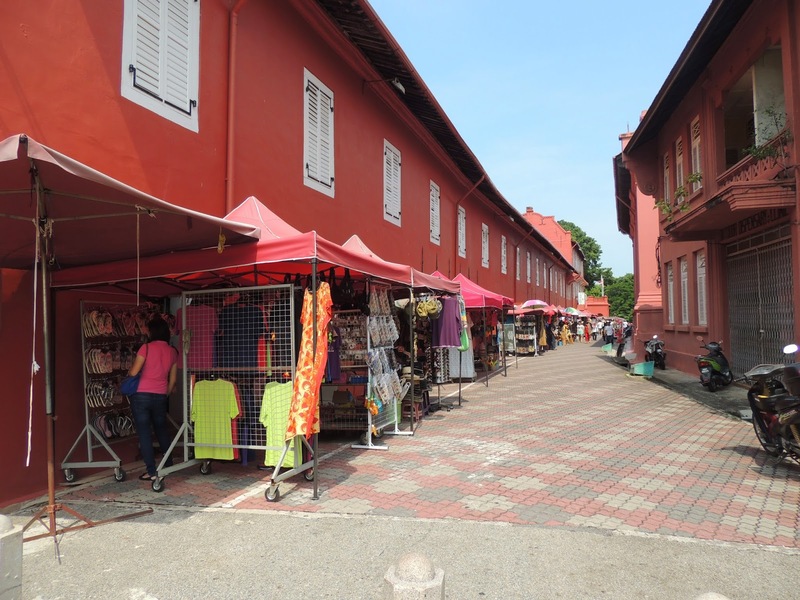 Jonker Street had everything from shops selling souvenirs to stalls of local food. Liz, who is the biggest foodie I know was curious to try everything new she saw. We would be walking, and she would suddenly stray off because she just saw a food item that she hadn’t seen before. I would follow her and we would end up sharing whatever it is she saw. At one point, we realized that we couldn’t continue spending so much money on food. So we tried asking shopkeepers if we could try it first. Our intention behind buying all these different foods was just to try them. Part of the reason we asked was that we wanted to test our communication skills and see if we could convince people to let us try things. At one point, we walked up to a group of tourists who were buying potato chip sticks (that for some reason were being sold everywhere) and acted like hesitant tourists who weren’t sure whether or not we should buy the chips. We asked the tourist group if they would recommend us buying them, and not before long, one of the men in the tourist groups just gave us a chip to try. Things didn’t go as well with the shopkeepers. We would go to a stall with a friendly looking shopkeeper and start small talking with them. Then, we would ask what they’re selling and show interest in it. We’d tell them that we’d never had anything like it before and hope that they would offer a small piece for us to try. This failed miserably and we weren’t able to get a single shopkeeper convinced. The next day, we went for a local breakfast. 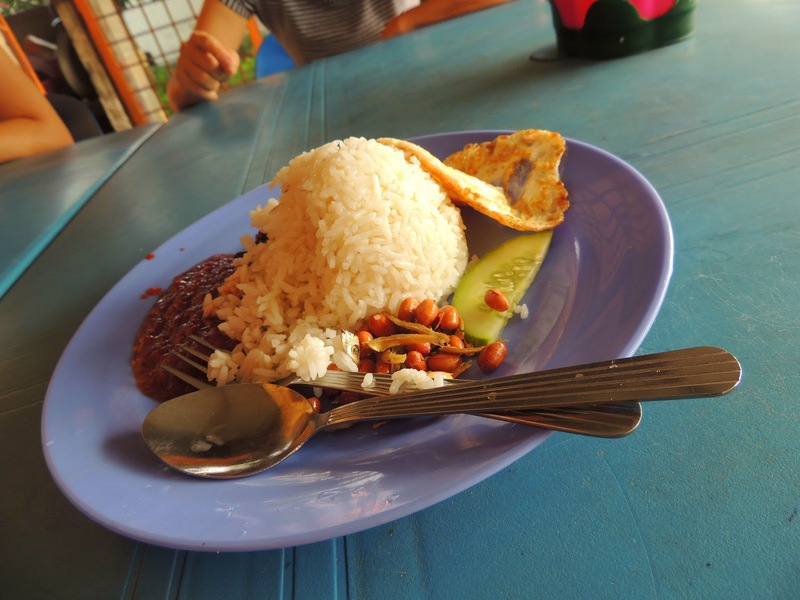 I ate Nasi Lemak and Liz ate the local roti chinai. This was the day we went to the main sights of the heritage city which included a fort, church, museum, ruins, etc. It was all very beautiful but both of us were more interested in just walking around as opposed to knowing what each of these sights actually were. 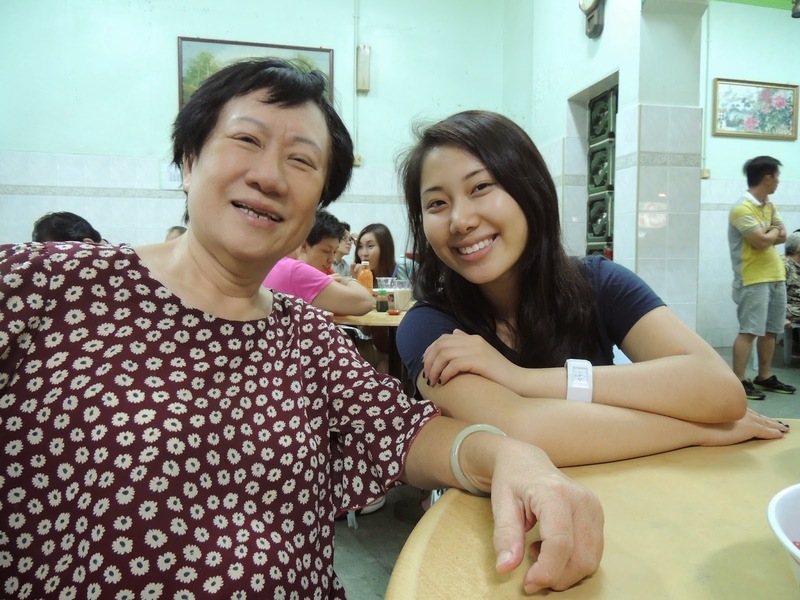 We went back to Jonker Street for lunch where we ate chicken rice balls, a Melaka specialty. 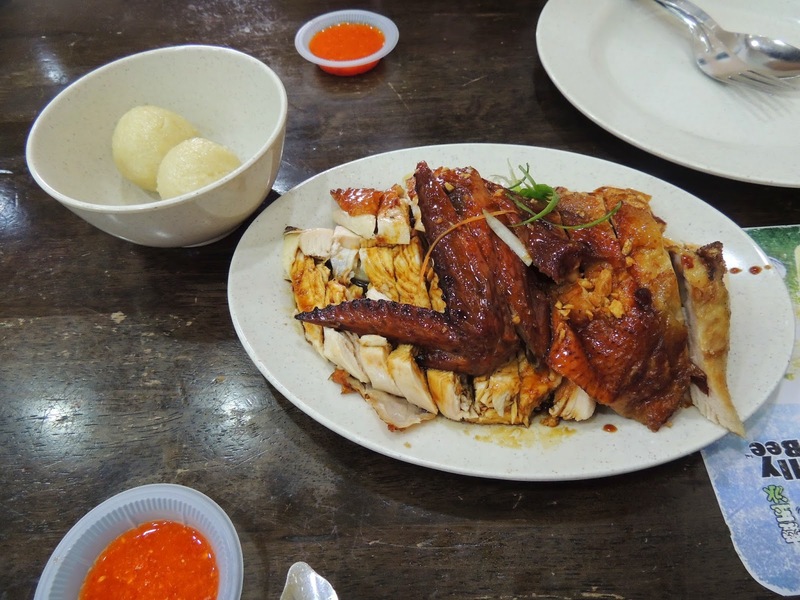 Chicken rice balls is a dish which is similar to Singapore’s chicken rice, except that the rice is in the shape of small balls. We ended up ordering a main chicken dish which cost us $10 and wasn’t so good. This put our budget at risk, but we were still within limits and the rice balls themselves turned out to be pretty good. 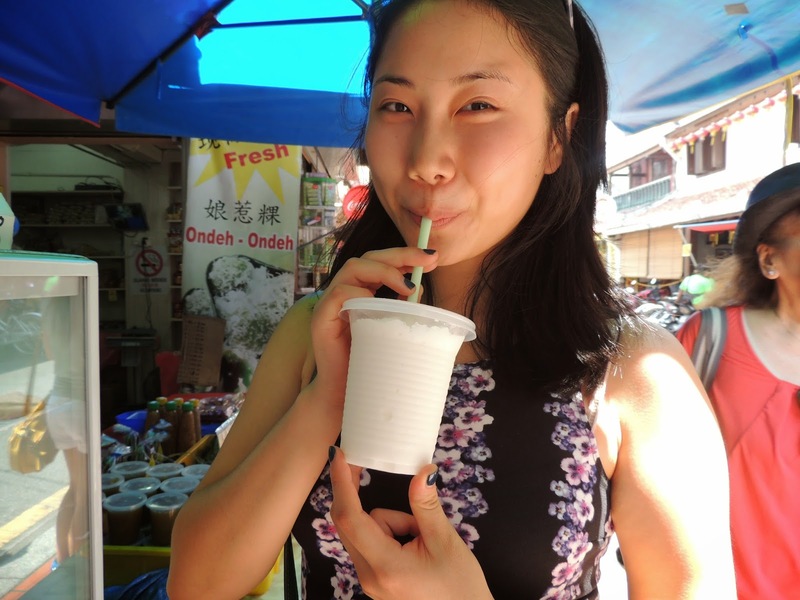 We discovered a two storey building selling different sorts of local food-and guess what? They had samples! We spent a long time trying everything there was to try right from local biscuits to durian sweets. One thing I noticed about Melaka is that there are some eating places which are extremely popular and always seem to have lines in front of it. Our hostess often told us that she goes to eat out mostly on weekdays because the tourists invade the city of weekends. I started thinking about touristy places in general and how despite their being different groups of people there each week, there are some restaurants which are popular. I wonder if this is a recent phenomenon that occurred thanks to social media and more widespread communication. We returned to Singapore that night, well rested, well fed and ready for school.